Born Herman Webster Mudgett, Dr. H. H. Holmes/Dr. Henry Howard Holmes started his criminal career as a medical student by stealing corpses from the University of Michigan. Dr. Holmes used these corpses to collect insurance money from policies taken out under fake names. 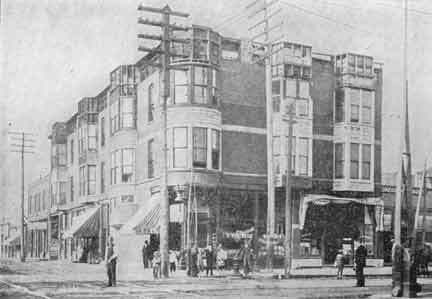 After moving to Chicago, Holmes started a drugstore empire from which he made a fortune. He built a hundred-room mansion on an entire city block complete with gas chambers, trap doors, acid vats, lime pits, fake walls and secret entrances. During the World"s Fair in 1893, he rented rooms to visitors, mostly young women with intentions of murder. He then killed most of his lodgers and continued his life insurance fraud scheme. Holmes would entice wealthy women to his "torture castle" aka "murder castle" with the promise of marriage. Instead, he would force them to sign over their money and property, then throw them down an elevator shaft and gas them to death in cold murder. In the basement of the murder castle, he dismembered/skinned his victims and experimented with their corpses. Authorities grew suspicious about Dr. H.H. Holmes"s activities, and when he heard of this, Holmes torched the "torture castle" and fled. In the building remains, authorities found the remains of over two hundred people. Dr. Henry Howard Holmes was caught when one of his insurance schemes was unraveled by Pinkerton detectives. Holmes was hanged on May 7, 1896, after one of the first riveting crime trials in America. Not only was Herman the first American serial killer but according to author Scheckter, the first "celebrity psycho." Although Dr. Henry Howard Holmes never had the historical presence of Jack the Ripper, he did leave behind a bloody trail of blood unequaled for almost eighty years, The Devil in the White City. H. H. Holmes serial killer is a male serial killer. Herman Webster Mudgett, Dr. Henry Howard Holmes, Dr. Henry Howard Holmes is a male serial killer.